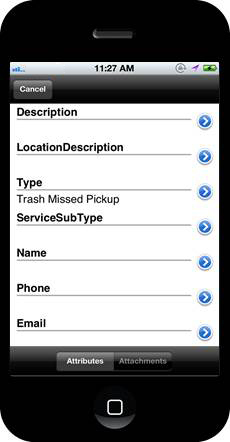 When residents of South Windsor, Connecticut, want to report a damaged stop sign, a dead animal on the road, or a missed trash pickup, they can use the town's new iOS mobile app developed by Esri to alert the town's staff to the problem. A developer from Esri Professional Services created the iOS app, the Town of South Windsor Maps Viewer (available at the Apple App Store) to make the same type of service requests using an iPhone, iPad, or iPod Touch. 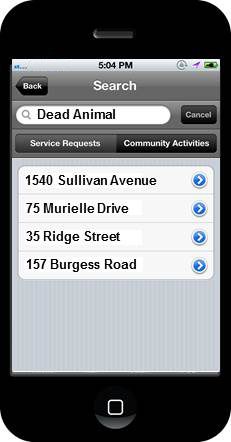 Now residents can either use the iOS app or the online dashboard to report an issue. The dashboard was built and deployed using Esri's ArcGIS for Server. Staff make a PDF map of the dashboard and post the PDF online to remind residents that crews will be by soon to gather leaves. 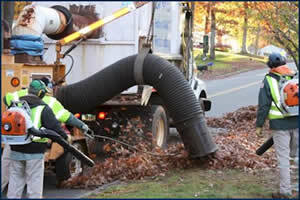 "We're telling them to get [their leaves] to the curb," Roberts said. "With our snowplowing and leaf collection dashboards, we can track both sides of the road with the AVL," Roberts said. "This not only allows us to keep track of the drivers to make sure they are working on the assigned routes, but it also provides us with insight as to the operational progress of various programs. Additionally, the information is archived and available to managers to review in questionable circumstances. For instance, we know when a street was plowed and how fast the driver was going." 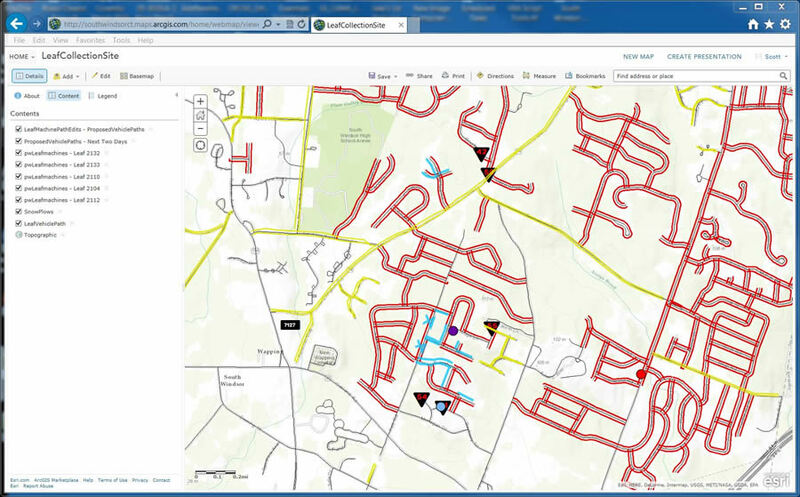 The town uses Esri's Collector for ArcGIS app, which works on smartphones or tablets, for collecting data in the field and overlaying the information onto maps accessed from ArcGIS Online. 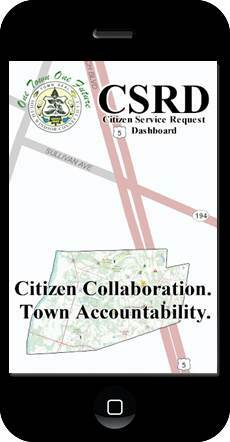 This is valuable for responding to citizens' requests for service as well as maintenance and emergency situations. 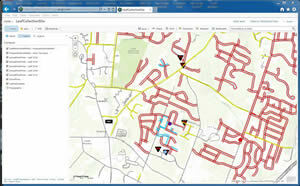 For example, Collector for ArcGIS was used by the fire department to collect data on fire hydrants during an inspection. Crews also used the app to gather data on guide wires, hidden water valves, and other possible impediments to the town's mowing vehicle. The vehicle operator saw the information on a map and knew where precautions needed to be taken. "To share information with our surrounding communities is very beneficial to all of us," Roberts said. "For example, there is no direct highway access into South Windsor, and during an emergency, knowing which roads are passable through neighboring communities is essential to emergency crews and our residents." South Windsor created a letter of agreement (LOA) to formalize sharing its applications with other municipalities. "Basically, the one-page LOA says that we will give the applications we develop to any towns interested in implementing a similar program," says Roberts. "You still need to purchase the Esri licenses and the third-party packages that we have integrated, but we will give you our applications for free. The only stipulation is that if you make any enhancements or changes to the applications, you share those changes with us so that they continue to improve." Newtown, south of Hartford, signed the LOA with South Windsor. "Though I changed a few things in the code for our specific workflow and processes, [the applications] were pretty straightforward to implement," said Steven Birney, Newtown's GIS software specialist. "There are variables built into the application that allow you to easily make necessary changes."